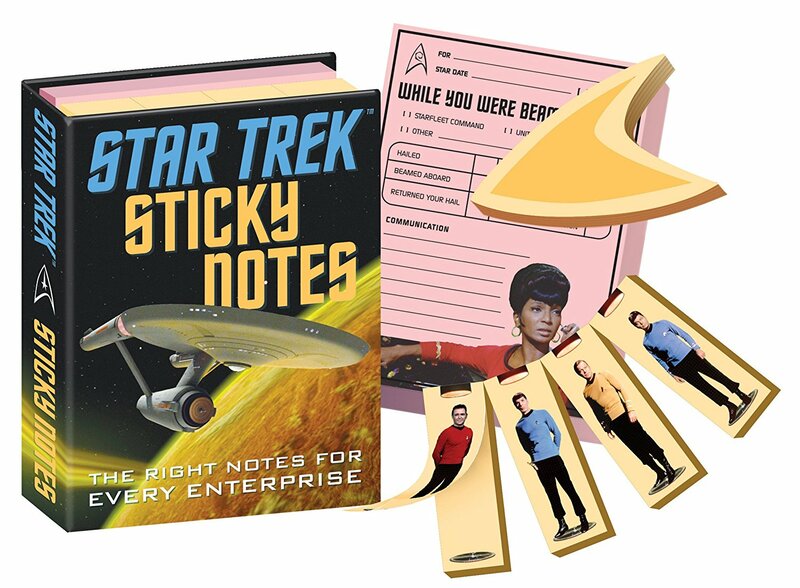 Grab some of these Star Trek Sticky Notes, and complete a five year mission of sticking them on everything you can. People are going to be very annoyed with you. But that’s okay. The message pad features Lt. Uhura ready to take messages and handle communications. Kirk, Spock, McCoy, and Scotty beam up and beam down on the page markers. It all comes in a book that measures 3 1/4″ x 4 1/4″ and will fit nicely in your purse or even your back pocket, so you never have to be without your sticky notes. My hailing frequencies are open to receiving this set.